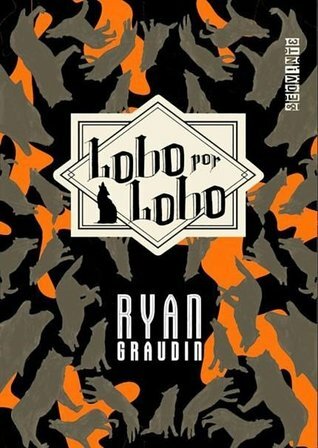 Wolf by Wolf by Ryan Graudin is an alternate history novel with fantasy twists that considers what would have happened if the Nazis won WW2. Yael is a part of the resistance with a fantastical ability. This review will be spoiler free, and just a hint that I really recommend reading this book. But first she’s got to get close enough to him to do it. This is the cover I had on my version. I really liked the font on this one. I also have to admit that I didn’t realise that it was a map until I was half way through the book. I think I am biased towards this one because it was the one I read. Is this the American cover? Or the British cover? All I know is it isn’t the Australian cover. I like it, although it is pretty similar to the other one. The map is a bit more prominent in this one which I like. 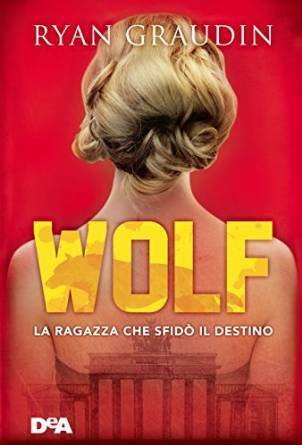 The Italian cover. It doesn’t have quite the same dramatic effect, and considering the main themes of the book it doesn’t really fit the story but I can see where they got the inspiration from. It’s not bad, it could be a lot worse but it could also be a lot better. The French cover. I actually really like this one. The wolf shadow there is so cool and I like that she’s dressed like an army member. Plus the font looks really nice. 11% – I am liking this book but I feel like I already know what’s going to happen, I mean obviously she’s going to win the race. 37% – In terms of actual plot this book is around average so far, but in terms of keeping me interested it is extraordinary. I don’t know whether it’s the writing style, the characters, or just something to do with me personally… but I really needs to know what’s happening. 81% – I am really enjoying the dynamics of the story. 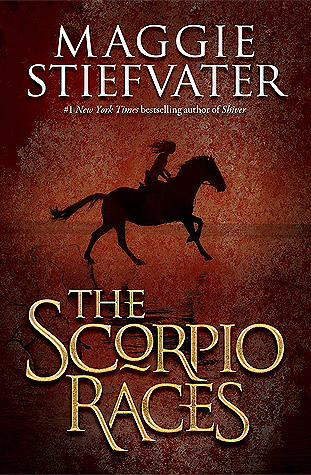 The characters are really cool, I like Luka and Felix and I like the twists that the book is throwing at me. It’s really cool although the majority of the book is about the race most of it isn’t actually just about her racing. I kind of don’t know what to say. This book started off as kind of average, the plot was slow to pick up and seemed pretty predictable. The book did pick up and there were some good plot twists, but nothing that really shook me until the end. 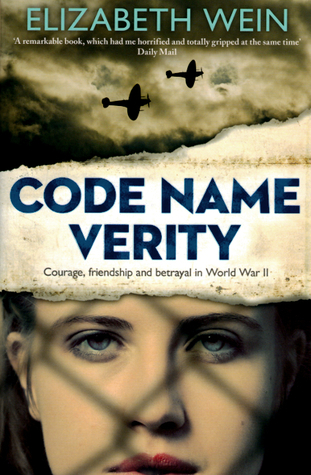 I liked it, and as big fan of WW2 novels and novels with deception/issues with whether to trust people I really enjoyed it. But plot wise and quality wise it wasn’t anything special in my mind. The characters were another matter, they’re amazing and I found myself really caring about them. This book did a great job of getting you on the edge of your seat with the tension between characters. I was itching to see what happened next at the end of the book. Yael was a really cool character who was strong and smart and intense. I don’t really know where the next book is going to go with this series, I worry that it will be very messy because of how this book ended. Hopefully all the characters I came to love like Luka and Felix are still in that book because without them it will have a very different feel. Also that other girl who was in the race… I kind of feel like nothing came of her. A lot of the parts of the plot feel kind of unsatisfying now that I think back on them. I am also able to draw a number of similarities both in subject matter (obviously) and in style between this novel and The Book Thief, a book that I didn’t necessarily enjoy. I don’t know what it was about the way this novel used flash backs but I really liked it. Or maybe I just cared more about the characters. 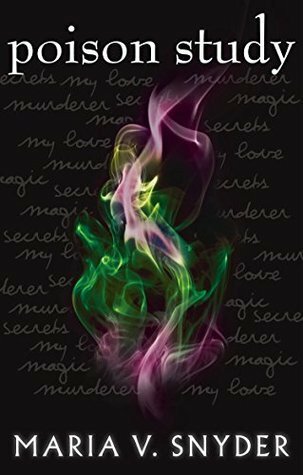 The twists – this book seemed predictable at the start but there were constant twists and turns and greater depths to be discovered behind all the characters and situations which made the story full of different perspectives and contradictions. That kept me really interesting. Yael was strong and very determined, she could cope with pretty much anything and I love reading about strong characters like this. It makes me hopeful that in a survival situation I could also be as strong, maybe not in terms of training but at least in terms of determination. I really liked Luka, he was interesting and mysterious and the way Yael learnt more about him as the book continued was really well done. 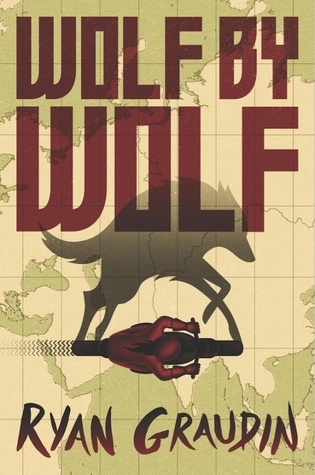 This book appealed to my personal tastes because I really enjoy reading alternate histories and WW2 is one of the time periods I find most interesting to read about. The format of the story felt disconnected sometimes which didn’t work for me personally. I feel like if this book wasn’t about a topic I personally enjoy then I wouldn’t have enjoyed it half as much because the writing and style was nothing special. What did you think of Wolf by Wolf? I think you’re pretty familiar with what I think of this book by now. I am also kind of disappointed that more didn’t come out of her friendship with Ryoko (it doesn’t in the sequel either). However, I was also really nervous that Blood For Blood wouldn’t do this book justice, but it did a pretty good job. 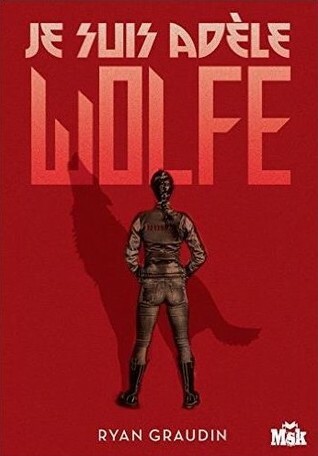 It wasn’t as good as Wolf By Wolf, but if you’re curious I would recommend reading it. I have read the sequel and I agree that it wasn’t quite as good but wasn’t as bad as I feared. I do wish that the relationships she formed with people other than Luka and Felix turned out to be more important because it felt kind of pointless to have them there. 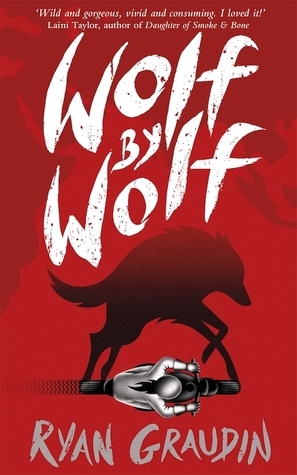 The first cover you show with the motorcycle and the shadow of the wolf is the UK version – it’s the copy I have. I quite liked both books when I read them and even though Wolf by Wolf was a little predictable, it didn’t really bother me.